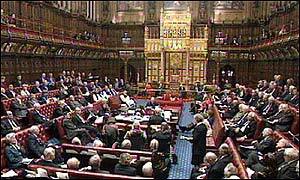 The membership of the House of Lords is growing and in the view of many in as well as outside the House is too large. There are problems in terms of the total membership as well as resource issues in terms of the active membership. Various proposals have been advanced to reduce the size. While these are discussed, Number 10 continues to announce the appointment of even more peers. Reducing the size of the House was addressed in the original Steel Bill, the Bill now being pursued in this session by Baroness Hayman. I drafted the Bill and what it seeks to achieve is a House smaller in membership than that of the House of Commons. It is an issue to which the House will shortly return. I usually participate in the ballot for Thursday debates and I have been successful in that for 12 December, when my motion to call attention to the case for reducing the size of the House of Lords will be debated. Unless we take some action, the House will simply continue to balloon in size. This entry was posted in Uncategorized and tagged balloted debates, House of Lords, Steel Bill. Bookmark the permalink. You may feel that neither holiday is proper to you but as they coincide only every 70,000 years or so I am not likely to get another opportunity to wish you Happy US Thanksgiving on the first day and second evening of Chanukah. if this is improper I promise not to repeat the error in 70,000 years. The current figure of 781 (http://www.parliament.uk/mps-lords-and-offices/lords/composition-of-the-lords/) “– which excludes those on leave of absence and those ineligible due to offices held – is actually lower than the figures as at March 2011 and March 2012” although the trend is likely to be upwards and “the annual reports of the House do show average attendance has increased by over a third in the last decade” (http://www.halsburyslawexchange.co.uk/house-of-lords-reform-time-for-evolution-rather-than-revolution/). I have in the past been of the mind the Lords should be reformed by it becoming an elected chamber rather than appointed. I see appointment as an insult to democracy. Thereby an insult to the citizens of a democracy. However, as the Lords themselves are unable to fathom the notion of democracy in its true form, and get behind the ‘rightful change to election’ there is no other rational way to go than, to abolish the Lords altogether. It will take no more time or persuasion than reform, so why not be done with it once and for all.